Marion County has plenty of interesting places, some might say we have a whole alphabet’s worth of interesting places. A is for Arts & Antiques Marketplace, which has both arts and antiques obviously. But you can do more than just buy those works of art; you can create them. B is for a Bloody Mary at Backwoods at the Belmont, with their homemade mix topped with an array of garnishes, it’s more than a cocktail – it’s like a meal in a glass. C is for Country Club Bakery pepperoni rolls, which is quite possibly the county’s oldest bakery credited with having created the state food. D is for DJs 50s & 60s Diner, where you can enjoy a trip back in time. Think Danny and Sandy in Grease but with more food. E is for espresso at Joe n Throw, which is made with Stone Tower beans. E is also for enjoying a lavender latte, a Nitro cold brew or tiramisu to go. F is for frontier life at the Fort. 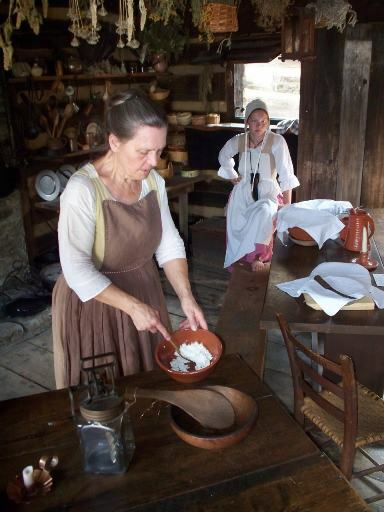 Pricketts Fort that is, where you can see how the first settlers used to live, work and play. G is for gratitude – and gelato, which goes hand-in-hand if you really think about it. Gelato at Colasessano’s is the only place in the county to find it, and you can choose from a ton of flavors. Tiramisu, stracciatella, strawberry cheesecake, Reese’s, Brownie Batter – all are great, grand, glorious, all the gs! H is for the He-Man Breakfast at The Poky Dot. You can enjoy this meal one of two ways: as an incredibly large breakfast or as a race against time. Finish four eggs, four pancakes, sausage links, sausage patties, bacon, and biscuits and gravy in 45 minutes and win a free meal (which you can redeem in a month after your breakfast has digested) or a free t-shirt. I is for ice cream at Pufferbelly’s Ice Cream Station. It can also stand for incredible food, for instance, the mac and cheese cheeseburger all depicted with a train theme. J is for justice. And jail. Take a tour of the (haunted) jail at Marion County Historical Society. The docents who work there are very informative of the county’s history and the ghosts that refuse to leave. Further creep yourself out with a copy of the Telltale Lilac Bush. K is for knowledge, which can be gained at Kerri’s Korner Bookstore. No matter your age or budget, Kerri’s has new and used books for all reading levels. L is for layers and layers of lasagna at Muriale’s which goes nicely with the fried calamari. End your meal with layers of cake whether it’s tiramisu or cheesecake. M is for mead at Mountain Dragon Mazery. West Virginia bees, honey, and flowers go into the making to make for some delicious drinking. N is for Nativibes and their love of nature sprinkled throughout their paintings, watercolors and jewelry. Or sign up for a class to create your own bit of nature. O is for Our Country Corner in our county providing original decorations, arts, and primitives. P stands for quite a few things here. P is for Palatine Park, places to splash, places to fish and places to play. And a great place to hear local and regional talent. Q is for quiche at Noteworthy Sweets and can be delectably paired with the quintessential bacon brownie. R is for Reiki. Main Street Yoga is the only place is the county you can find Reiki, and thus, relaxation. S is for Sweet Memories, which can be found at Sweet Memories Antique Mall. Browse collections, books, even even military collections and vintage advertising signs. T is for Tuscany. OK, Marion County is not home to Tuscany, Italy, but it is home to the Tuscan Sun Spa and Salon. Massages, facials, hair styling, manicures – Tuscan really lives up to its name. 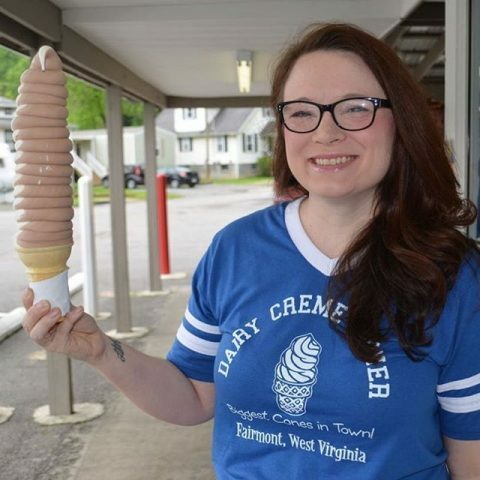 U is for unbelievably tall cones at Dairy Creme Corner. There’s not much more description that can be had. Just imagine stacking books as high as they’ll go before falling down. Now imagine an ice cream cone as high as that. V is for vinyl. That’s right. Vinyl records from 25 cents and up are at Assumption Records. The Velvet Underground, Nirvana, Workingman’s Dead, Grease, Miles Davis, James Brown, Neil Young, Grandmaster Flash & the Furious Five are just a few of thousands of artists housed at Assumption. X is for Xtreme (sometimes spelled ‘extreme,’ which means it probably isn’t). Xtreme biking at Valley Falls State Park is xtreme in all aspects including but not limited to scenery, terrain and fun. Y is for Yann’s hot dogs, notorious for the spicy sauce and owner. Don’t make eye contact, try not to blink and don’t ask for ketchup. Back away slowly. Zzzzzzz is for a great night’s sleep at A Nature’s Song B&B. It’s like sleeping in a cabin in the woods but someone makes you breakfast in the morning. Venture out to fish, hike and just enjoy nature and its song. So what’s your favorite in the Marion County alphabet?